Are you adopting cloud apps in your Enterprise and looking for ways to assure WAN performance? Planning to increase branch bandwidth capacity and looking for ways to do it efficiently? 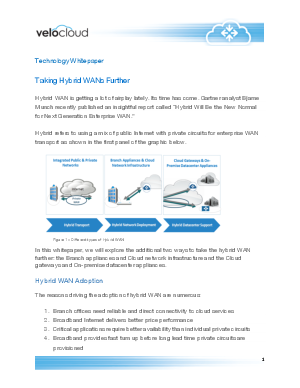 Hybrid WAN - a mix of MPLS private WAN circuits with ordinary broadband links like DSL, Cable, 4G-LTE for remote office access - is gaining fast momentum as the popular choice among Enterprise IT organizations.